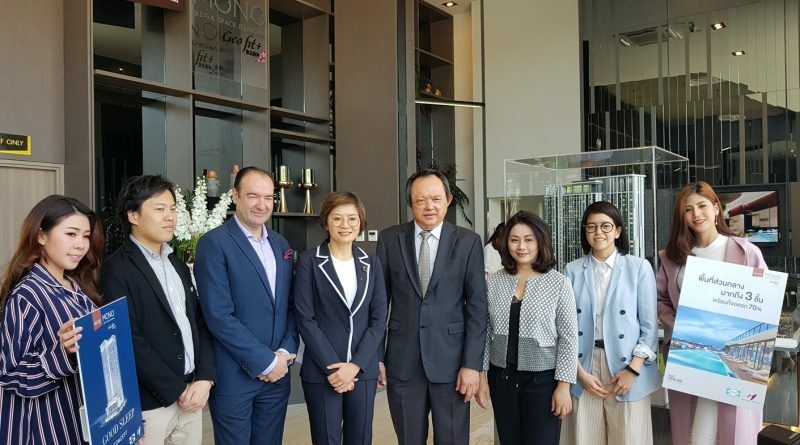 SENA Development PCL, along with Knight Frank Thailand Co., Ltd., hosted a press conference to launch the show unit of the Niche MONO Mega Space Bangna condominium, under the concept “Made from Her”, which focuses on every detail related to living. The 3 floors of common areas include a Co-Working Space, Meeting Space, Urban Courtyard, Lap Pool, Kid Adventure, Sliding Hill, Sky Fitness, Multipurpose Area, Co-Kitchen, Cinema Space, Reading Lounge, Sunset Deck, Moon Terrace and parking space of up to 70%. Prices start at just 2.2 million baht, including furniture.